This site was intentionally designed to provide a great deal of free information, education and support for people who love, mourn, and/or work to help animals. However, the information is copyrighted and is protected under U.S. copyright laws, whether or not a notice of proprietary rights appears on the screen displaying the information. Except where otherwise noted, all content of this website is copyright Teresa Wagner. This site and the content provided therein, including, but not limited to, text, graphic images, audio, video, html code, buttons, may not be copied, reproduced, republished, uploaded, posted, transmitted, or distributed in any way without written permission. Copyrights to external links are owned and/or the responsibility of those external websites. When permission is granted to use any copyrighted information on this site, a license agreement specifcially describing limited use will be mailed and must be signed and returned with signature. This agreement will clarify that work you have been granted permission to use must include both the copyright notification, "copyright Teresa Wagner" and a link to www.animalsinourhearts.com on every page in which you use the material. Under no conditions is it permissible to represent any of the text, specific concepts originated by Teresa Wagner or images on this site as your own. This web site is registered with the United States Copyright Office. Any use of the material on this site, in any form whatsoever, without written permission is unlawful. If copyright violation is discovered legal action will be taken to the fullest extent of the law. Under U.S. Code Title 17, Chapter 504, violators of copyright may be required to pay statutory damages up to $150,000 plus legal fees. This notice applies to all information collected or submitted on the animalsinourhearts.com website. On various pages, you can sign up to receive newsletters, register for workshops, pay for consultations, order products, or email us. Requested personal information may include but not be limited to your name, email address, postal address, or phone number. We do not collect credit card numbers on this site. All credit card payments are made through Paypal which increases the security of online payments made to Animals in our Hearts. We have no record of your credit card information at any time. We do not share your personal contact information with outside parties except to the extent necessary to complete that order such as entering it into a USPS system to print a mailing label. When you share your email address and other contact information with us by emailing us, as part of the required information for attending workshops and events or purchasing products, that information is not shared with or sold to other organizations. If you receive periodic product update information or newsletters from us after attending one of our events or purchasing products and wish to be taken off our mailing list, you can unsubscribe at any time with one “unsubscribe” click at the bottom of any received mailing or by emailing us with your request. If you are a Registered Customer or Registered Wholesale Customer, you can access all your personally identifiable information that you have submitted by logging into your store account and changing the information. For each visitor to our Web page, our Web server automatically recognizes only the consumer's domain name & IP address, not the e-mail address or any other contact information. An Internet Protocol (IP) address is a number assigned to your computer and available whenever you access the Internet. If you access pages from this website, our server will enter your IP address into a log. We reserve the right to store IP addresses for a period of time to assist law enforcement authorities and Internet Service Providers in the investigation of breaches of our in-house rules or terms of service and to help identify visitors who threaten our service, site, customers or others. We may also use this information to measure site traffic for purposes of system administration. This aggregate data also helps us to improve our website and our business. We use non-identifying and aggregate information to better design our website and to share with advertisers. For example, we may tell an advertiser that X number of individuals visited a certain area on our website, or that Y number of men and Z number of women filled out our registration form, but we would not disclose anything that could be used to identify those individuals. If a consultation is cancelled before 24 hours of the scheduled session, a full refund will be made. If a client is unhappy with the messages from their animals during a session, and makes that clear to me during the session, I am happy to end the consultation and refund the unused time on a pro-rated basis. If after a consultation a client is unhappy with the information and messages translated and shared from their animal to me, refunds are not provided. 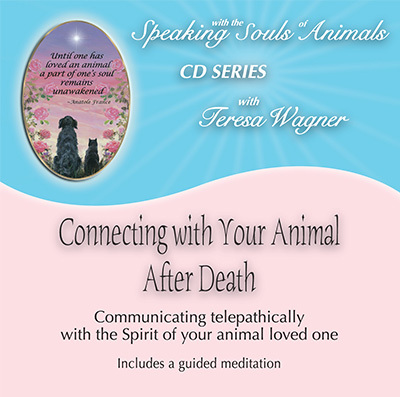 My commitment to my clients is to work diligently and consciously in every consultation to listen to their animals for both the facts and feelings the animals convey to me and to describe these to my clients in a clear, understandable, supportive and loving manner. 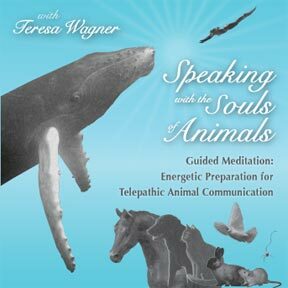 I intentionally provide ample time during sessions—at several junctions—for clients to comment on what their animal has expressed. As stated above, if a client is unhappy with the messages from their animals, and makes that clear to me during a session, I am happy to end the consultation and refund the unused time on a pro-rated basis. However, if a client does not speak up about any confusion or displeasure about the messages from their animals during a session, but waits until after the consultation to do so and requests a refund, a refund will not be provided. I wholeheartedly and genuinely want my clients and their animals to be helped by and pleased with our consultations. However, it is extremely important to note that no animal communicator, including me, can guarantee that a client will be pleased with what their animal has to say or even how they say it. Animal communicators can tell you what your animal is saying but we cannot make you like it, agree with it, or believe it. I cannot assume responsibility for another person’s reactions to their animals’ messages. Because of this, refunds are not provided for anyone who, after a session, states that they were unhappy with the messages conveyed. Scheduled consultation times are reserved exclusively for the person making the appointment. As a courtesy to Teresa's full schedule of other work commitments and to other clients waiting for appointments, please give 24 hour notice if you need to cancel or reschedule an appointment. Missed appointments with no notice and appointments canceled within 24 hours will be charged the full amount of the consultation fee. Payment is expected by the day prior to a scheduled appointment time. If your payment is not received by that time, we will notify you that it hasn't been received and that your session needs to be rescheduled. When your payment is received we will contact you again to reschedule your session for the earliest available opening. All payments for workshops are non-refundable unless the workshop is cancelled by Animals in our Hearts at which time all deposits and payments will be refunded. Individuals who need to cancel their participation in a workshop may offer their paid seat in a workshop to a friend or other party. Original payment for that workshop seat will remain with Animals in our Hearts. The purchasers of products and/or services from AnimalsInOurHearts.com are subject to the following terms and conditions. AnimalsInOurHearts.com reserves the right to make changes to its Terms and Conditions of Use at any time. Each time you use this Website, you should visit and review the current Terms and Conditions of Use that apply to your transactions and use of this Website. If you do not agree to be bound by the then current Terms and Conditions of Use, your sole remedy is not to use this Website. AnimalsInOurHearts.com offers articles, information, and advice to site visitors through this Website for educational purposes only. Any information offered through this Website is not intended to diagnose, treat, or cure you or your pet, and is not a substitute for psychotherapeutic, medical or veterinary care provided by a licensed professionals. For any medical or health related advice concerning the care and treatment of your pet, please contact your regular veterinarian or local animal hospital. AnimalsInOurHearts.com is not responsible for typographical or photographic errors on this Website. You agree to defend, indemnify, and hold harmless ASN, its affiliates, instructors, and their respective directors, officer, employees, contractors, and agents from and against all claims and expenses, including attorneys fees, arising out of use of this website. AnimalsInOurHearts.com, in its sole discretion, may terminate your retail or wholesale account, membership registration, or similar uses of this Website at anytime. You are personally liable for any orders that you place or charges that you incur prior to your termination. AnimalsInOurHearts.com reserves the right to change, suspend, or discontinue all or any aspects of this Website at any time, without prior notice. Upon termination, you will have no account or similar Website membership rights to the Website. Our proprietary rights, disclaimer of warranties, indemnities, limitations of liability and miscellaneous provisions shall survive any such termination. AnimalsInOurHearts.com may provide notice of termination by regular mail or email. The Terms and Conditions of Use shall be construed and enforced in accordance with the procedural and substantive Laws of the State of California, United States of America (with the exception of the conflicts of laws provisions of such state), and both parties agree that the federal and state courts located in California shall have jurisdiction over any matter arising in connection with the agreement, and hereby submit to such jurisdiction, further, the parties agree that venue for any matter arising in connection with this shall properly lay in the Monterey County, California. YOU EXPRESSLY AGREE THAT YOUR USE OF THIS SITE IS AT YOUR SOLE RISK. THIS WEBSITE IS PROVIDED ON AN "AS IS" AND "AS AVAILABLE" BASIS. AnimalsInOurHearts.com AND ITS OFFICERS, DIRECTORS AND EMPLOYEES, AS WELL AS ITS THIRD-PARTY AGENTS, CONTRACTORS, DISTRIBUTORS, MERCHANTS OR SPONSORS (COLLECTIVELY, "THIRD PARTIES"), CANNOT AND DO NOT WARRANT THAT YOUR USE OF THIS WEBSITE WILL BE UNINTERRUPTED, SECURE, OR ERROR-FREE. NEITHER AnimalsInOurHearts.com NOR ITS THIRD PARTIES HAVE ANY RESPONSIBILITY FOR YOUR ACTION OR INACTION IN CONNECTION WITH THIS WEBSITE OR FOR ANY DAMAGE TO YOUR COMPUTER OR DATA OR ANY OTHER DAMAGE YOU MAY INCUR IN CONNECTION WITH YOUR USE OF THIS SITE. NEITHER AnimalsInOurHearts.com NOR ITS THIRD PARTIES WARRANT THE ACCURACY, INTEGRITY OR COMPLETENESS OF THE CONTENT PROVIDED ON THIS SITE OR THE PRODUCTS OR SERVICES OFFERED FOR SALE ON THIS SITE. AnimalsInOurHearts.com AND ITS THIRD PARTIES SPECIFICALLY DISCLAIM ALL WARRANTIES, WHETHER EXPRESS OR IMPLIED, INCLUDING WARRANTIES OF TITLE, MERCHANTABILITY, FITNESS FOR A PARTICULAR PURPOSE, TITLE AND NON-INFRINGEMENT. NO ORAL OR WRITTEN INFORMATION OR ADVICE GIVEN BY AnimalsInOurHearts.com OR ITS THIRD PARTIES SHALL CREATE A WARRANTY, EXCEPT WHERE THE EXCLUSION OR LIMITATION OF CERTAIN WARRANTIES IS PROHIBITED BY LAW. UNDER NO CIRCUMSTANCES SHALL AnimalsInOurHearts.COM OR ITS THIRD PARTIES BE LIABLE FOR ANY DIRECT, INDIRECT, INCIDENTAL, SPECIAL OR CONSEQUENTIAL DAMAGES THAT RESULT FROM YOUR USE OR INABILITY TO USE THIS WEBSITE, INCLUDING YOUR RELIANCE ON ANY INFORMATION OBTAINED FROM THIS SITE THAT RESULTS IN MISTAKES, OMISSIONS, INTERRUPTIONS, DELETION OR CORRUPTION OF FILES, VIRUSES, DELAYS IN OPERATING OR TRANSMISSIONS, OR ANY FAILURE OF PERFORMANCE. THE FOREGOING LIMITATION OF LIABILITY SHALL APPLY IN ANY ACTION, WHETHER IN CONTRACT, TORT OR ANY OTHER CLAIM, EVEN IF AN AUTHORIZED REPRESENTATIVE OF AnimalsInOurHearts.com HAS BEEN ADVISED OF OR SHOULD HAVE KNOWLEDGE OF THE POSSIBILITY OF SUCH DAMAGES. BY YOUR USE OF THIS WEBSITE, YOU ACKNOWLEDGE THAT THIS PARAGRAPH SHALL APPLY TO ALL CONTENT, MERCHANDISE AND SERVICES AVAILABLE THROUGH THIS WEBSITE, EXCEPT WHERE THE EXCLUSION OR LIMITATION OF INCIDENTAL OR CONSEQUENTIAL DAMAGES IS PROHIBITED BY LAW. SOME JURISDICTIONS DO NOT ALLOW THE EXCLUSION OF CERTAIN WARRANTIES OR LIMITATION OF DAMAGES FOR INCIDENTAL OR CONSEQUENTIAL DAMAGES, SO THE FOREGOING LIMITATIONS MAY NOT APPLY. IN ANY EVENT, UNDER NO CIRCUMSTANCES WILL AnimalsInOurHearts.com BE LIABLE TO YOU FOR ANY AMOUNT EXCEEDING ONE THOUSAND U.S. DOLLARS ($1,000.00).